Have You Hit the “Keto Wall”? The ketogenic diet is a very low-carbohydrate diet originally used in the 1920s as an effective treatment for reducing seizure frequency in epileptics. Researchers quickly noticed that the diet offered many other potential benefits, as well, including improvements in blood sugar, cholesterol, fat metabolism efficiency, hunger level, and energy levels. Despite these findings, fat consumption was vilified for many decades, and until recently ketogenic diets were viewed only as an acute, rarely used therapeutic protocol. 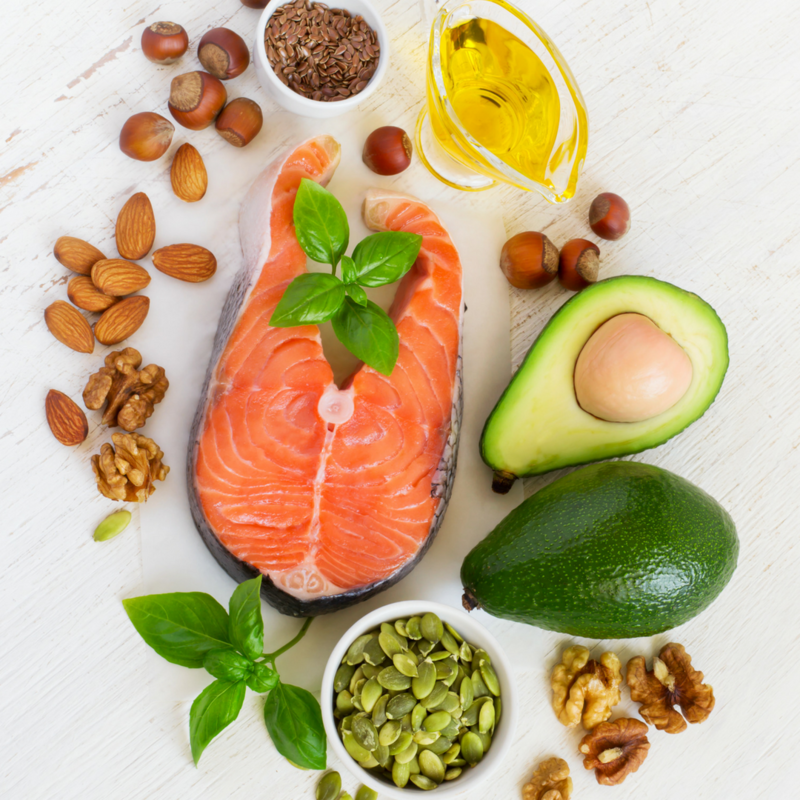 As high-fat, low-carb diets have moved into the mainstream, however, the established benefits of ketogenic diets have drawn many people searching for a way to lose weight and increase performance. In a nutshell, ketogenic diets focus on the goal of inducing ketosis, a metabolic state wherein the body uses fats (ketones) instead of sugars for fuel. Our more common metabolic state is glycolysis, in which the body converts carbohydrates and sugars into glycogens. Even though glycolysis is nearly always our default metabolic state, it has major drawbacks. The metabolism of sugar can be a somewhat messy, inefficient process—inflammation and oxidative stress are natural byproducts. By training the body to fuel with ketones instead of glycogens, you can implement a “cleaner-burning” kind of energy, and protect the body against chronic inflammation. Many keto enthusiasts love the smoother, longer-lasting energy provided by ketones. Sugars are processed and used very quickly, which can create an uneven series of sugar highs and sugar crashes throughout the day (and the inevitable crankiness and food cravings that accompany a crash). Because ketones are slower-burning, they help prevent crashes, boost overall energy levels, and curb food cravings. And last but not least, when the body is keto-adapted (i.e. trained to fuel with fat instead of sugar), it can use its own fat reserves as energy—a process which can lead to remarkable weight loss and body composition improvement, especially when a ketogenic diet is first adopted. If you’ve tried out a ketogenic diet, perhaps you’ve experienced some of these benefits firsthand. You also know, however, that keto comes with its own unique challenges. No one ever said that biohacking your metabolic state would be simple, right? That being said, overcoming the keto wall is something anyone can accomplish with the right approach and a bit of follow-through. First, let’s go over what people actually mean when they talk about the keto wall. The term can be somewhat confusing, because there are actually two distinct experiences that arise as challenges when training the body to run sustainably in ketosis. The “keto flu.” The first “wall” often occurs immediately after beginning a ketogenic diet. A radical shift in energy metabolism (i.e from glycolysis to ketosis) is bound to require an adjustment period. Hence the dreaded “keto flu,” which manifests for many people as brain fog, fatigue, stomach aches and pains, irritability, nausea, dizziness, diarrhea, sleep disruption, and other unpleasant symptoms. You can think of the keto flu as a sort of sugar withdrawal (the experience can actually be similar to the crash after consuming lots of refined sugars). The “keto plateau.” Many people experience pronounced success at the beginning of ketogenic diets, only to hit a wall around six or eight weeks into the diet—at this point, they feel that they’ve stalled or hit a plateau, and that it suddenly becomes much more difficult to maintain ketosis sustainably, let alone make further progress with weight loss and other dietary goals. Both of these experiences can be challenging and disheartening, but they needn’t serve as barriers to a beneficial and sustainable experience of ketosis—all that’s required is the proper knowledge and lifestyle choices. If you’ve consumed a high-sugar diet in the past, certain symptoms of the keto flu will probably be unavoidable, but they nearly always pass within one to two weeks (and sometimes within a matter of days). Some of the other factors that lead to the keto wall, however, are easier to control—here are some suggestions for easing your keto journey. Replenish electrolytes. When maintaining ketosis, you’ll lose a lot of water weight, which leads to an accompanying loss of essential electrolytes. Add a pinch of pink Himalayan salt to your water for continual electrolyte intake (and drink plenty of it), and supplement with magnesium and mineral-rich complexes like fulvic acid. Eat mineral-rich foods like nuts, dark leafy greens, mushrooms, and avocados. Supercharge ketosis with this tailor-made supplement. While proper diet, water intake, and electrolyte balance are the foundation of a successful ketogenic diet, you can also facilitate the experience of ketosis with this unique product. 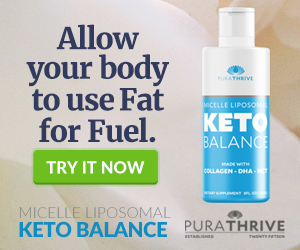 Keto Balance combines MCTs, DHA from algae oil, and collagen from organic, grass-fed beef in one highly absorbable liposomal formula. Use it to fuel your body with the perfect blend of clean fats, omega-3s, and amino acids—and say goodbye to the keto wall.